There are many reasons to consider a senior care facility, whether dealing with a medical situation or disorder that makes living alone impractical or desiring to move to a more communal lifestyle that can offer help when necessary. The transition of moving yourself or someone you love into a senior care facility can be difficult, but it is important to take the time to personally research options before settling on a long-term home. The time spent will be worth it when you or your loved one finds the right place to call home. The first thing to consider is the level of care needed, as there is a fair amount of variation in what different care facilities provide. Levels of facilities range from independent living facilities to skilled nursing facilities. An independent living facility offers individual apartments or homes within a community that restricts itself to senior residents. Often, no direct care is offered to all residents, although services may be offered to those with specific needs. On the other hand, a skilled nursing facility must provide an array of medical and rehabilitation services to its residents and directly staffs licensed nurses. Between these two levels of care, is an assisted living facility, which still offers a level of independent living arrangements, but also provides health care services, ranging from help with everyday tasks and medication management to care for specific disorders, such as Alzheimer’s. Another option is a continuous care retirement community. These communities provide facilities for all levels of care. This is an especially desirable choice for those who would like a facility that can adapt to changing needs over time, such as in the case of progressive disorders. Is the Facility Accredited and Licensed, and Do They Follow the Rules and Regulations of Retirement Homes? It is vital to check that a facility is properly accredited and licensed for the level of care needed. This is especially important for skilled nursing facilities, which must regularly pass state surveys. Assisted living facilities are also subject to licensing, which can include a standard license for routine care and services as well as a special license for more specialized care and procedures. 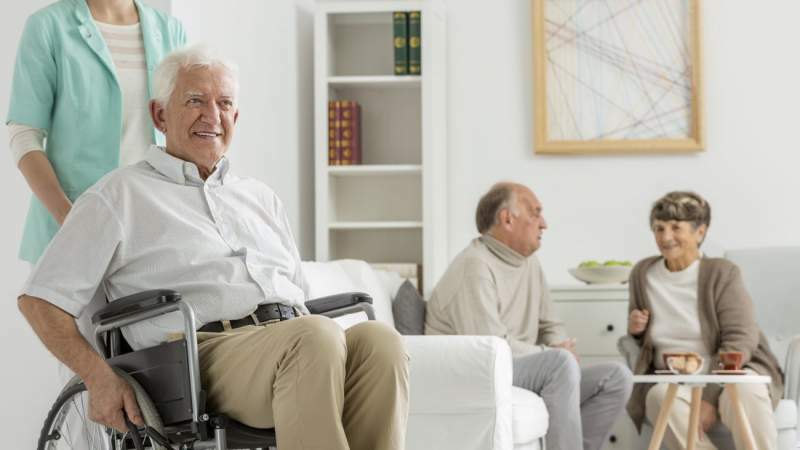 When working with an independent living facility, you will want to ensure those providing any services or care are properly licensed, especially since they are likely employed by a third-party provider, not the facility itself. Checking the history of a facility, as well as its licensing, can help you determine its quality. If there is a history of violations or a place is known to disregard certain regulations, this is a good indication that it may not be the best place to entrust with the care of yourself or a loved one. This is particularly true since professional inspectors are likely to have noticed problems the average person would not. Have You Visited and Inspected the Facility Yourself? As mentioned, inspections by qualified professionals are an important part of choosing a quality facility. However, this does not mean you should disregard visiting and inspecting the facility personally. This is a great way to determine whether the place fits your needs, both in terms of quality as well as in terms of the environment being a good match for a given personality. While visiting, pay attention to details, such as the level of cleanliness of the facility, the atmosphere and level of enthusiasm during group activities, and whether the staff seem friendly and engaging with residents. A personal visit is also a good time to ask questions and address any concerns about a facility. While some questions can be asked over the phone, you will be able to discuss topics with different members of the staff in person, and you may think of specific concerns during the tour itself. Meeting in person also offers the opportunity to establish the start of a rapport with caregivers. It is a good idea to make a list prior to arrival of things you would like to address and parts of the facility you want to see, and you can also take notes during the tour itself. Are the Activities and Services Offered a Good Fit? Even if a facility is of high quality and the perfect place for many residents, it may simply not be a good fit for an individual. Choosing somewhere that offers activities in line with your, or your family member’s, interests can be nearly as important as whether the services meet medical needs when you consider this will be a long-term home. Enjoying being part of the community is important to emotional and mental well-being and having access to the right physical services is often a necessity. Have You Made A Pro/Cons List for Each Facility You Are Looking At? Finally, a valuable tool when choosing a senior care facility is a list of pros and cons for each one being considered. When there are many options from which to choose, the details can be overwhelming, making it difficult to reach an informed decision. Breaking down a list of the aspects of a facility provides a way to determine whether it is an acceptable choice, as well as how it compares to other facilities you are considering. Choosing a senior care facility is an important life decision and must be treated as such but being prepared and doing the necessary research can make what may seem like a daunting task more manageable and help you find the best match.